We are preparing for our upcoming trip for Spring Break which means planning for a long car ride. Getting flights for 3 people is not really in the budget, so driving is the best option for us. My boys love their tablets. But I'm not going to let them stare at a screen for 10 hours straight. So what's a mom to do to entertain her kids on a long drive? You can find lots of free printables on a variety of subjects. I like to print a map of the states we are going to drive through and highlight the route we will take. This is a way for my boys to follow along and see where we are and how far we have left to go. I also like to print activity sheets related to where we are going. You can find word searches and puzzles for states, seasons, Disney, and many more. 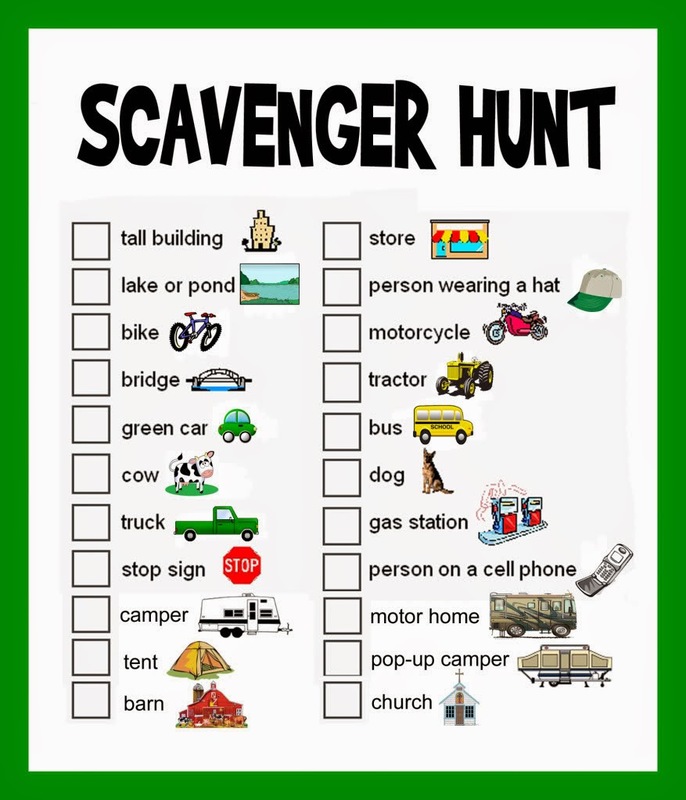 There are also travel bingo and scavenger hunts you can do from the car. This ties in with the map. 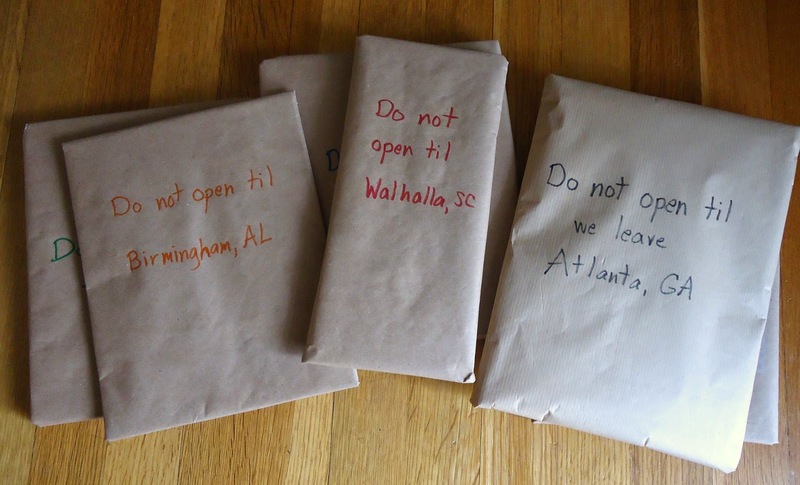 I wrapped each package in brown paper (I found it for $2 at Dollar General) with a note on the outside that says, "Do not open until (fill in the name of a town)." This way my boys could follow along the map and have something to look forward to. Depending on how far we need to drive in a day, this can be challenging. We always need to stop for gas, restroom breaks, or food. I try to pick a unique place to stop along the way which is how I usually find hidden gems. If our stop is limited to getting food, I try to let the kids pick where we eat.